↑ Nussbaum, Louis-Frédéric. (2005). 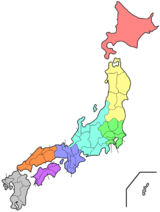 "Niigata-ken" in Japan Encyclopedia, p. 711. ↑ Nussbaum, "Niigata" at p. 711. This page was last changed on 31 August 2017, at 08:51.